The IDEAS team is proud and grateful to have contributed to the mission and wishes the scientists success with their experiments at Mercury. BepiColombo is a joint mission between the European Space Agency (ESA) and the Japanese Aerospace Exploration Agency (JAXA). 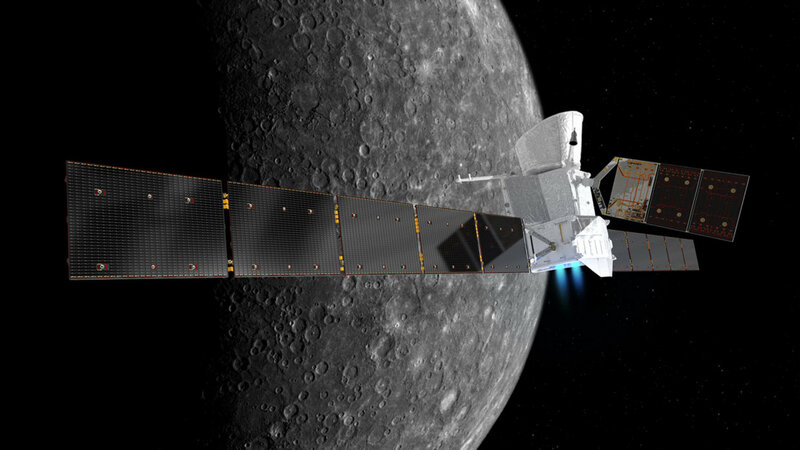 BepiColombo is Europe’s first mission to Mercury. It was launched on October 20th 2018 on a journey to the smallest and least explored planet in our Solar System. The journey to Mercury will take about seven years and the spacecraft will enter the orbit around Mercury by end of 2025. BepiColombo consists of two spacecrafts, the Mercury Planetary Orbiter (MPO) provided by ESA and the Mercury Magnetospheric Orbiter (MMO) provided by JAXA. Near Mercury the two spacecrafts separate allowing for simultaneous measurements at different orbital positions. The MPO carries the BepiColombo Radiation Monitor (BERM) designed to measure electrons, protons and ions near the spacecraft. BERM contains the IDEAS VA32TA2_2 ASIC for the readout of silicon sensors. On board the MMO is the Mercury Plasma Particle Experiment (MPPE) that will investigate the plasma/particle environment around Mercury. MPPE is a comprehensive instrument for plasma, high-energy particle and energetic neutral atom measurements. It consists of seven sensors of which the high-energy particle instrument for electron (HEP-ele) and the high-energy particle instrument for ion (HEP-ion) use the IDEAS VA32TA7 ASIC to detect electrons and ions in a silicon strip detector, respectively. The instruments aboard BepiColombo demonstrate IDEAS heritage in integrated circuits for space science missions.